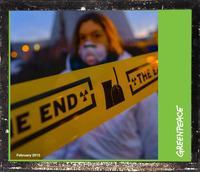 Why haven't we heard from the NNSA about Fukushima radiation hitting North America? WASHINGTON (CBS DC) — Helicopters have been conducting radiation tests above portions of the Washington, D.C. area using remote gamma radiation sensing technology. The National Nuclear Security Administration (NNSA) has been flying the radiation missions since Dec. 27, 2012 and they will continue until next Friday, Jan. 11. The flights have been conducted during daylight only, and the pilots fly about 80 miles per hour at 150 feet above the approximately 70-square mile radiation assessment area. Site cam indicates trouble at the plant. After a brief respite, what appears to be a rapid venting episode continues. 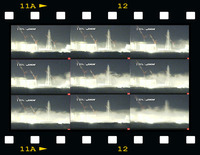 The release is pushed across the site from right to left in each of these captures. A fresh burst of energy from the Usual Suspects 'Kenny Boy' and ' Geraldine! Kenny is going to out Sea in October with his bucket and spade brigade! we present a form so grotesque and other worldly that ones eyes will decry the day they were opened! I don't know how this terrible news got by me! "Third US Navy sailor dies after being exposed to Fukushima radiation"
(NaturalNews) At least three of the U.S. Navy sailors exposed to radiation from the 2011 Fukushima nuclear disaster in Japan have now died from mysterious illnesses, according to Charles Bonner, an attorney representing approximately 250 of the sailors in a class action lawsuit against companies involved in running the Fukushima plant. Fukushima & Neutron Radiation: Jerry Pietermann with Joyce Riley in The Power Hour, September 22, 2015. The Tim and Kenny show made me think of this track again? Jay Cullen is a good guy in a bad world!...OK? Somehow I missed this video report! Radioactive soil removed from areas effected by Fukushima meltdowns break open and flow into river during recent flooding. ''Fukushima Fish and Chips'' It's the future you know! What would this guy say to Jay and Ken I wonder? What would he say to any of them? What do you think? Perhaps that all this talk of low level radiation is a complete and utter crime against all life forms? Right on cue! Thank God for a free press! Call me daft but if we now know Unit 4's spent fuel pool was 100% destroyed, what then were all the many reports documenting the removal of said spent fuel from Unit 4 into a 'common fuel pool' arrangement? Am i missing something here folks? This completely vindicates Dana's long standing position that this whole Unit 4 fuel removal exercise could never have been as described at all. Huge Fukushima Cover-up Exposed, Government Scientists In Meltdown. Massive Fukushima Radiation Cover-Up: Government-Funded Scientists Now Claim Radiation Won’t Hurt You. 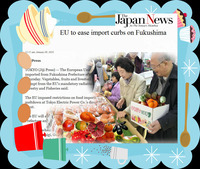 Things just got much tougher....EU to lift restrictions and end testing of Fukushima food stuffs. Fancy a smoothie bud?..it's on me! So sad. The eugenicists have been hard at work for many years. They have really outdone themselves with Fukushima. They do not care about any of us, nor their own. H A P P Y Easter!